The Green10, the alliance of leading environmental NGOs at EU level, supported by over 20 million EU citizens and active in all 28 Member States, wrote today an open letter to President Jean-Claude Juncker to express grave concerns over the direction the EU seems to be taking with the announcement of his new team. The coalition highlights that the structure of the new Commission, the mission letters, and the choice of Commissioners all reveal a serious downgrading of environment and a roll back of EU commitments to sustainable development, resource efficiency, air quality, biodiversity protection and climate action. • The move from a Commissioner with dedicated responsibilities for environment to having this policy area shared with other demanding dossiers represents a clear relegation of environmental issues in the order of political priorities. This is reinforced by the virtual lack of any reference to environment in the responsibilities of the Vice-Presidents. • The mandate to the Environment, Maritime Affairs and Fisheries Commissioner seems entirely centered on deregulation, asking a review of all current major initiatives underway. It does not mention the need to achieve any EU objectives, let alone take new initiatives. • The inclusion in the mandate of orders to consider changing the EU Nature protection legislation, pre-empting the results of the ongoing fitness check, suggests a high level decision to weaken biodiversity protection in the EU. This is even more troubling as the Environment portfolio is given to a Commissioner whose government is under intense international criticism for failing to implement EU bird conservation legislation, which the Commissioner will now be in position to amend. 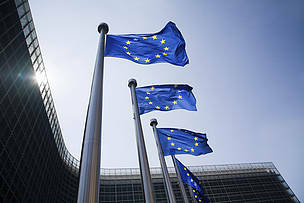 • The merging of the climate and energy portfolios and putting this Commissioner under a Vice President for Energy Union could imply that Climate Action is considered subordinate to energy market considerations. • The choice of a Climate and Energy Commissioner with well-known links to the fossil fuel industry raises issues of conflict of interest. • The shift of the responsibility for relations with the European Chemicals Agency, whose job is to protect European citizens from harmful chemicals, from DG Environment to DG Enterprise shows a clear bias towards prioritizing business interests over protection of human health and the environment and flies in the face of the objectives of the REACH Regulation. • The fact that sustainable development, resource efficiency and the green economy are not covered at all at Vice-President level implies a Commission that will be operating on the basis of an outdated paradigm of economic growth, one that benefits the industries and jobs of the past over those of the future, and detached from real world constraints and limits. • Your promise not to authorize any legislative initiative that is not in line with your priorities, combined with the virtual absence of any environmental priorities, suggests a de-facto shut down of EU environmental policy making.